Backup your Hyper-V virtual machines in a few clicks and secure your virtualized system, without interrupting operations and creating downtime. Login to the IDrive application and click the 'Server Backup' tab. 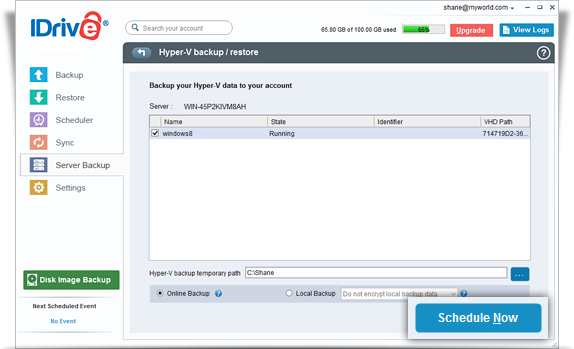 Under Hyper-V Backup section, click 'Backup'. Select the virtual machine(s) from the list and specify the local backup path. 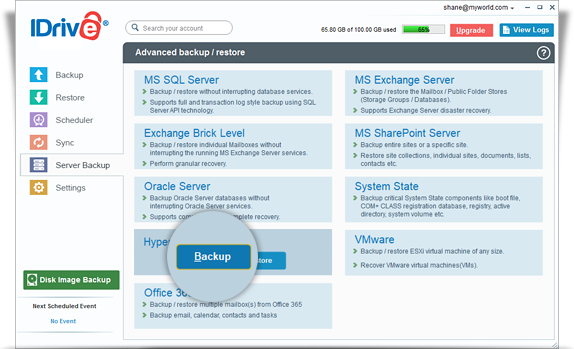 Select the Online Backup or Local Backup radio button and click Schedule Now. View steps to restore Hyper-V.